Social media can be a very effective way to build brand awareness and engage people interested in you, your products and services. Besides the benefits of engaging with networks of followers who can help spread your message, social media is also important for SEO, list-building and managing your reputation. Today, social media is considered a necessary marketing tool for sucessful small businesses. But, it needs to be done correctly, otherwise your social media efforts can harm rather than help. 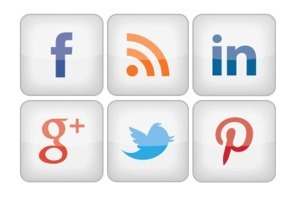 Start with determining what platforms are best for your business. While we consider Facebook, Twitter, Pinterest and Google+ the big four, Instagram, LinkedIn and others may be equally important for meeting your particular business goals. Other starting points to consider are that your branding and message needs to be consistent across all platforms. A blog gives you a place to post and drive traffic to new content. Constant promoting is a big no-no, while valuable and interesting content fosters engagement. Engagement is more important than the number of likes you have. And so on. There’s much to know in order to use social media effectively. Then there’s the time involved. While there are ways to automate your efforts, effective social media marketing is an ongoing process – one that’s well worth the effort when managed creatively and well. Do you need help getting started, or with growing and engaging your existing networks? Give us a call and we’ll help you get things moving in the right direction. We can provide strategy, training, coaching and ongoing social media management.